Sorry if I seem stupid, but why does the mta do the summer swap? 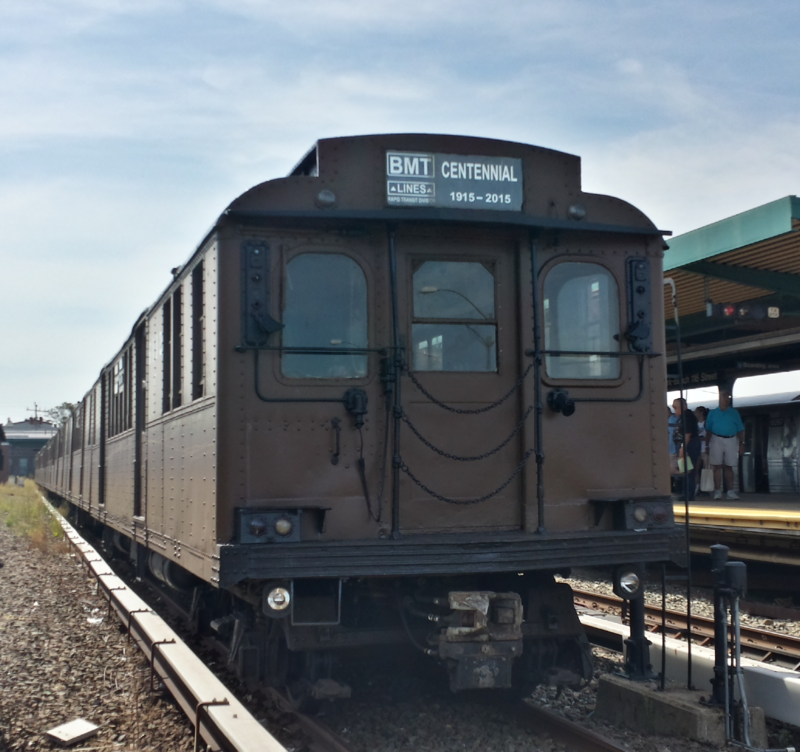 The MTA does the summer swap so that the Air Conditioning units in the R32s dont have to work as hard. When they are on the A , the doors are closed for longer and the air is kept cool. If they are on the C the distance between stops is smaller and the Cold air escapes quicker , thus the Air Conditioning has to work harder. Bottom line the MTA is trying to get as many R32s off the road and use the slightly more reliable R46s. Right now the C is 100% r46 , there 22 R46 trains on the A , 14 R32 train sets and 2 R42s out [the other R42 is layed up at 207]. Its most likely gonna stay like this till September. Sounds great. I'm definitely going to use this time to railfan/grab as many textures of the R42 before they go away. The R32s will last for a few more years, so I don't have to rush. They needed to start doing this a while ago. On the (B) or <Q> heading to Brighton Beach when they had the R40s, it was literally cooking. The R68s on the (Q) were perfectly fine. It does not matter now, as the entire Brighton is R68/R160. Lol this isn't even about the R44.